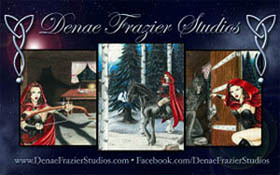 Welcome to the all-new DenaeFrazierStudios.com. Check out the new features with expanded galleries, commission info and buy something from our online store! Thanks for visiting and let us know what you think!